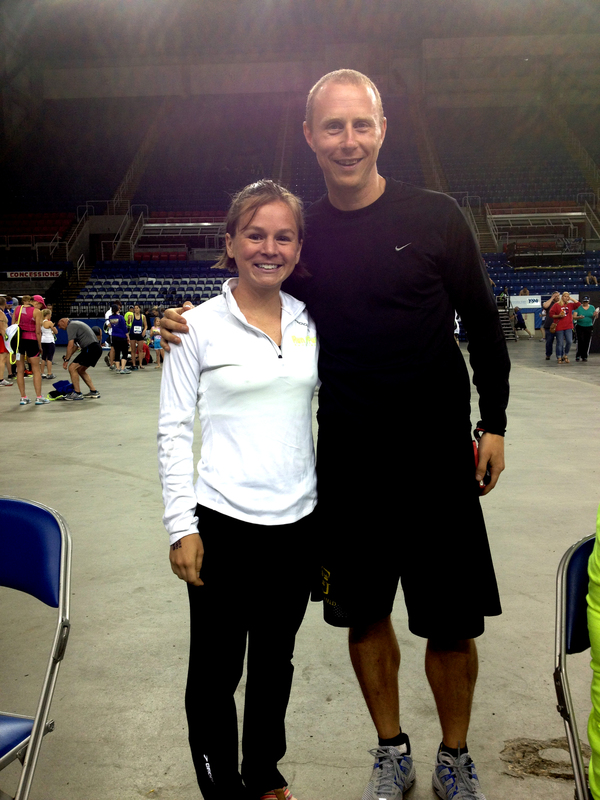 Gusties Nicole Porath and Brenden Huber following their respective wins at the 2013 Fargo Marathon on Saturday. St. Peter, Minn. – Battling the high humidity and unpredictable weather of the Red River Valley, a pair of runners with Gustavus ties made their mark at the ninth annual Fargo Marathon on Saturday. Nicole Porath, a 2005 Gustavus graduate, crossed the finish line with a time of 2:50:49 in front of a roaring Fargodome crowd to win the women’s marathon. Earlier in the day, Gustavus cross country and track and field assistant coach Brenden Huber won the men’s 10k race with a time of 33:41.